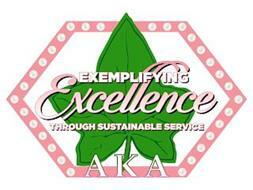 Since 1908, Alpha Kappa Alpha Sorority, Incorporated has implemented programs of service impacting countless lives. Alpha Kappa Alpha will continue its focus on education with an emphasis on historically black colleges and universities (HBCUs). Chapters will promote and market historically black colleges and universities and encourage students to attend HBCUs as a sustainability measure. Activities will include researching and publishing information regarding prominent Alpha Kappa Alpha women and other notable individuals who attended HBCUs. Recognizing that HBCU funding is one of the primary obstacles that threaten the long-term growth and survival of HBCUs, members will be encouraged to financially support HBCUs. Alpha Kappa Alpha will implement an AKA HBCU Endowment Initiative in partnership with EAF, in which an endowed scholarship will be established at each accredited four-year HBCU. The goal is to stamp the Alpha Kappa Alpha brand of financial support on each HBCU campus to help students remain in school, complete their course of study, and receive their college degrees. Alpha Kappa Alpha will assist students as they seek admission to college by providing guidance and support in completing the application and enrollment process through the 2018-2022 Signature Program, #CAPSM. Too many African-American high school students lack the basic support needed to navigate through the college admissions process. Through #CAPSM, chapters will partner with local high schools and youth groups to bridge the gap between high school and college by demystifying the college application and enrollment process. This educational initiative will extend to all colleges and universities, both HBCUs and non-HBCUs. #CAPSM is a step-by-step approach to facilitate college admission from researching various institutions and submitting applications through completion of the enrollment process. Chapters will assist students in completing college applications, preparing for the ACT and SAT, writing compelling personal statements, identifying scholarships and other financial aid, and compiling a portfolio to track college admission results. Through #CAPSM, Alpha Kappa Alpha will improve the trajectory of the lives of talented young people by increasing their potential for success and laying the foundation for positive, productive, and fulfilling lives. Breast Cancer Awareness and Prevention will focus specifically on early detection through mammograms to improve the survival rate of women diagnosed with breast cancer. Alpha Kappa Alpha will own a digital AKA Mobile Breast Cancer Screening Unit that will travel to various locations and provide mammogram screening. Chapters will partner with local clinics, rural health centers, and hospitals to emphasize the need for African-American women to receive regular mammograms. Heart Health remains a focus as the sorority enhances its commitment to healthy hearts through fitness activities and walking. Chapters will be encouraged to form walking clubs and to invite the community to join the walking initiatives. Nutrition and Wellness will emphasize healthy lifestyles including prenatal, childhood, adult, and senior nutrition programs. The focus will be on structured nutrition initiatives, and chapters will partner with local nutritionists and dietitians to design healthy eating plans and safe diets for longer, healthier living. Care for the Caregivers places emphasis on taking care of those who take care of others. Chapters will emphasize the need for caregivers to practice preventive healthcare as well as self-care behavior to eliminate the vulnerabilities and risks associated with the stress of caregiving. Alpha Kappa Alpha will emphasize financial planning, asset accumulation, and wealth building including savings and investments, managing debt, and improving credit. Personal Financial Planning and Asset Accumulation. Financial Freedom Legacy Workshops will be conducted in partnership with local certified financial planners who will share information on saving, investing, and retirement planning. Chapters will train community residents on ways to perform financial assessments to achieve their financial goals. Credit Repair and Monitoring. This initiative will focus on ways to repair credit and improve credit scores including how to check for inaccurate or outdated information in credit reports, and how to protect against both identity theft and unauthorized credit history use. Entrepreneurship and the Black Dollar 365. This initiative will highlight and promote successful African-American owned businesses with an aim toward spawning new entrepreneurial ventures in our communities by encouraging intentional support and leveraging the power of the black dollar 365 days a year. Operation AKA Assist. This initiative will focus on implementing programs to assist those in need in various communities by directing attention to the plight of the homeless, including homeless children, and homeless veterans. Chapters will partner with or adopt a shelter, a transitional home or an organization that provides assistance to these needy populations. Alpha Kappa Alpha will expose students to arts enrichment and culture by focusing on visual and performing arts and by showcasing talent through the exploration of writers, entertainers and various other artists. Salute to the Harlem Renaissance will celebrate the contributions of African-American artists during the Harlem Renaissance through student research and chapter sponsorship of student talent showcases. This initiative will correlate with HBCUs and African-American culture and will include colleges with art collections. Salute to the Black Arts Movement will focus on student research and celebration of African-American artists during the Black Arts Movement. 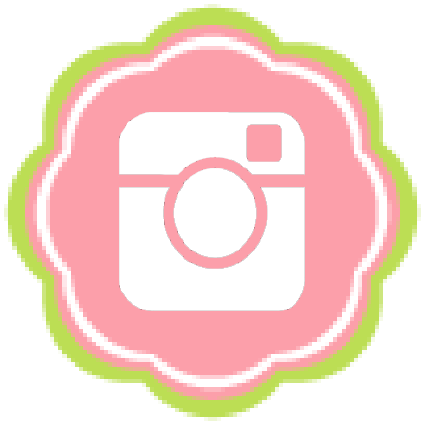 Chapters will champion activities that express the movement message and highlight members of Alpha Kappa Alpha Sorority who served as leaders and participants. Activities will include art events, poetry slams, dancing, painting, and performing arts.